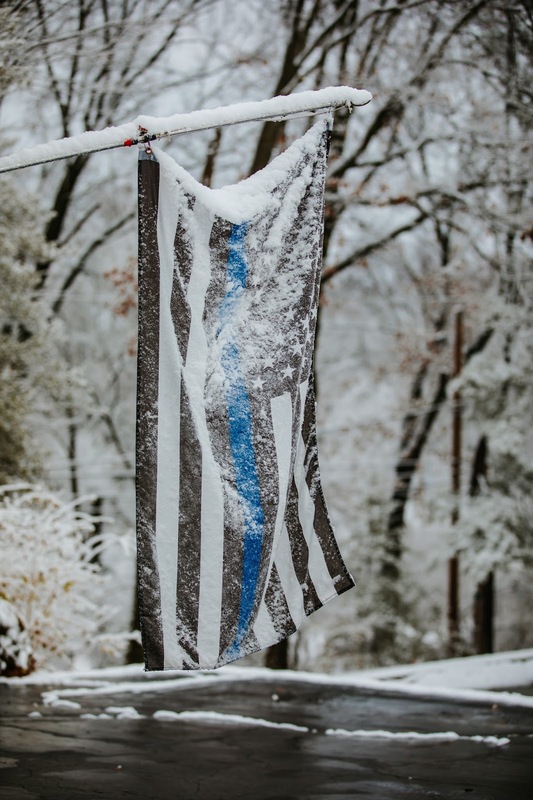 We woke up today to a treat: the first snow of the season! 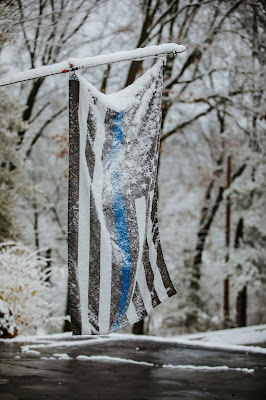 I actually woke up and saw it on a few people's Instagram and Facebook feeds, so I looked out the window at our backyard and oh boy, what a gorgeous little blanket of snow had fallen! 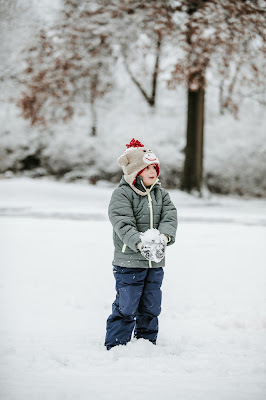 This was about 7am...I decided to text a friend who said she wanted snow pics to see if she could make it over in an hour to get some snaps in. Luckily they could and we were able to get some pics of Indie in the snow! The big kids were chomping at the bit to get out and play too...so they ate with Mike while I snapped little Indie, and then I came in -- still armed with my camera! -- and decided to take them back out to play and get some pics of them as well!! 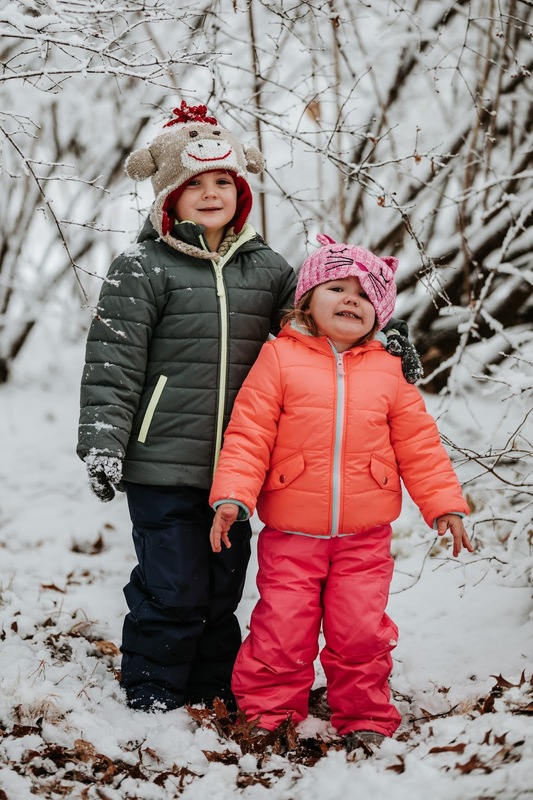 First off, brownie points to moi for getting a size up in coats and snow suits last year so they'd still fit this year. 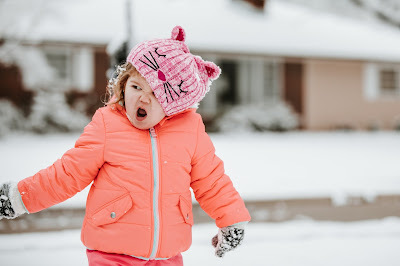 WOOT WOOT for that! So at least the kiddos were properly outfitted and warm for the 10 minutes we were out there. 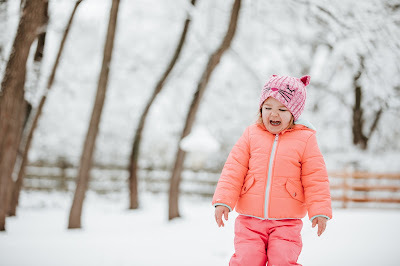 Yes, 10 minutes of fun! We could only find one pair of gloves (oops) so one of them had cold hands (oops again) but it was quite chilly out so we really didn't last too long. 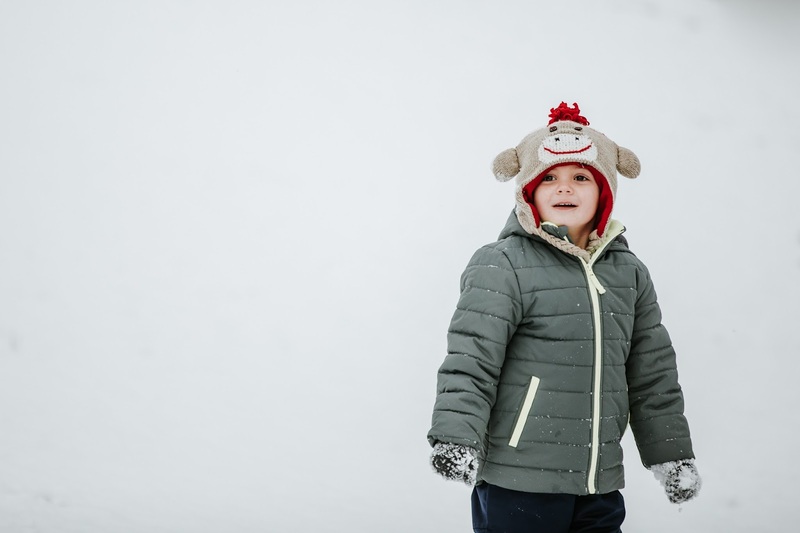 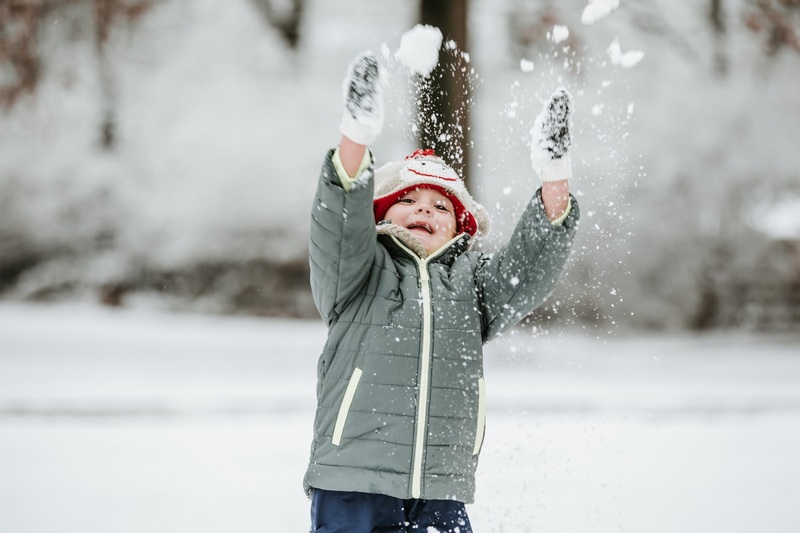 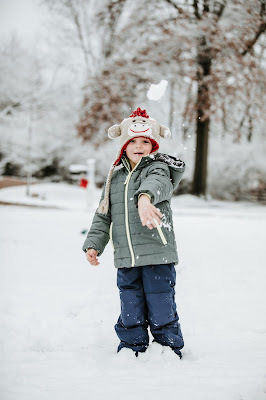 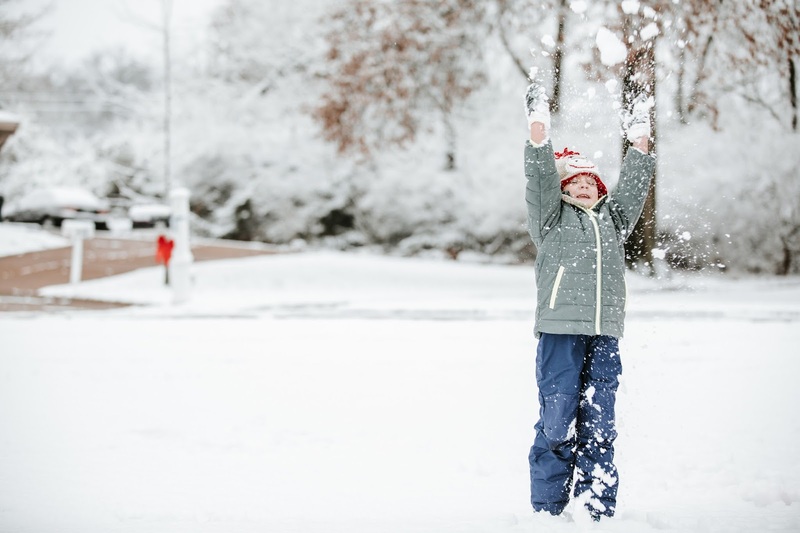 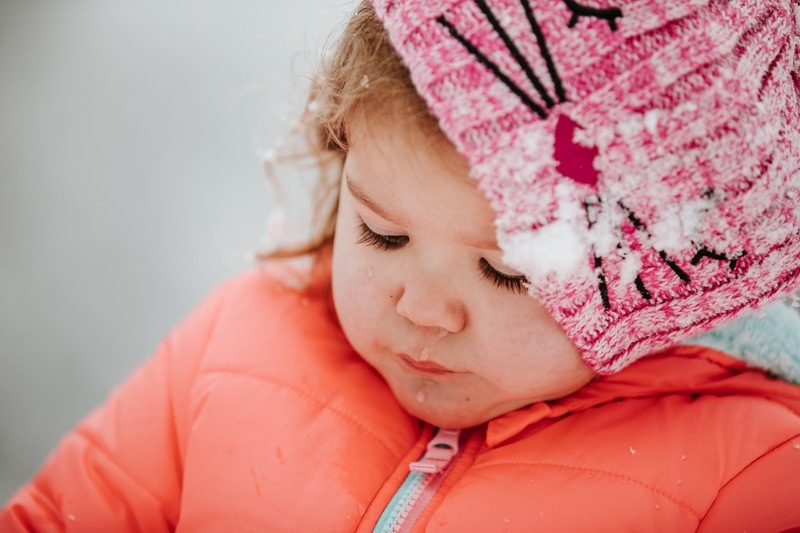 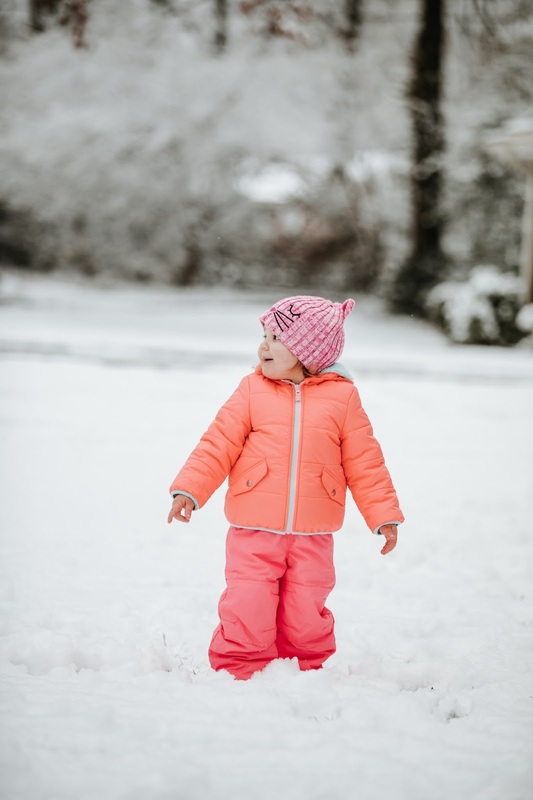 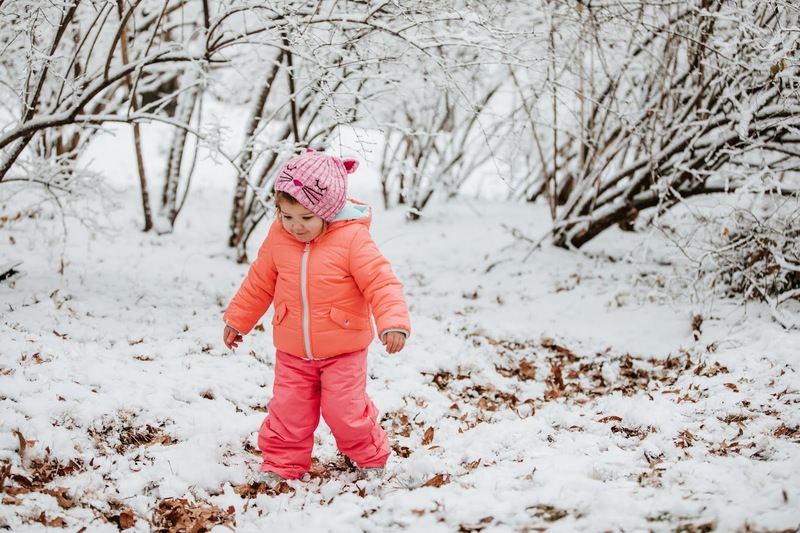 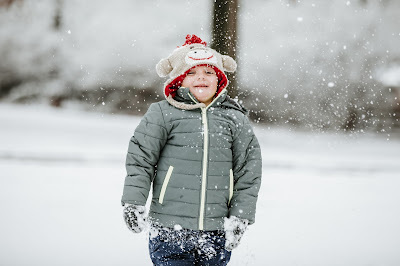 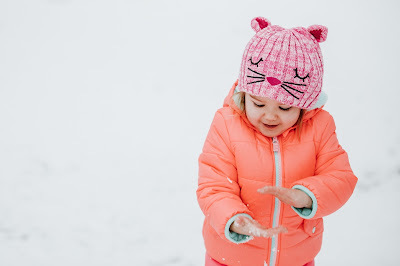 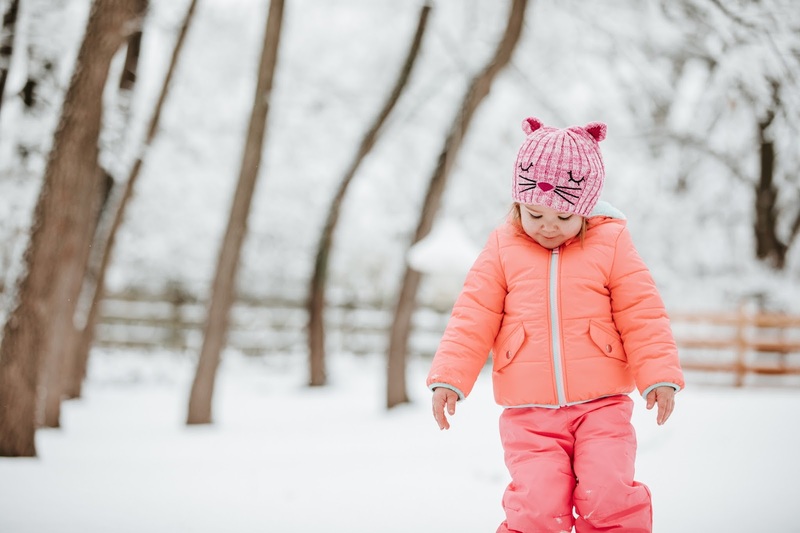 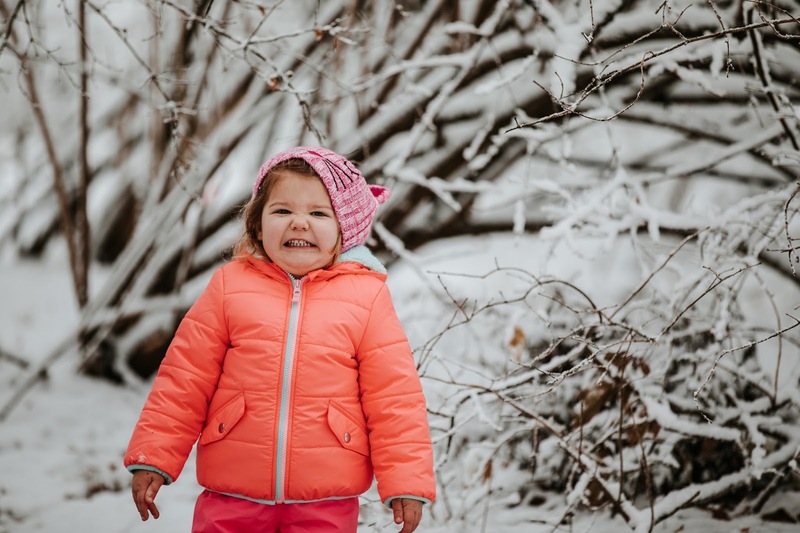 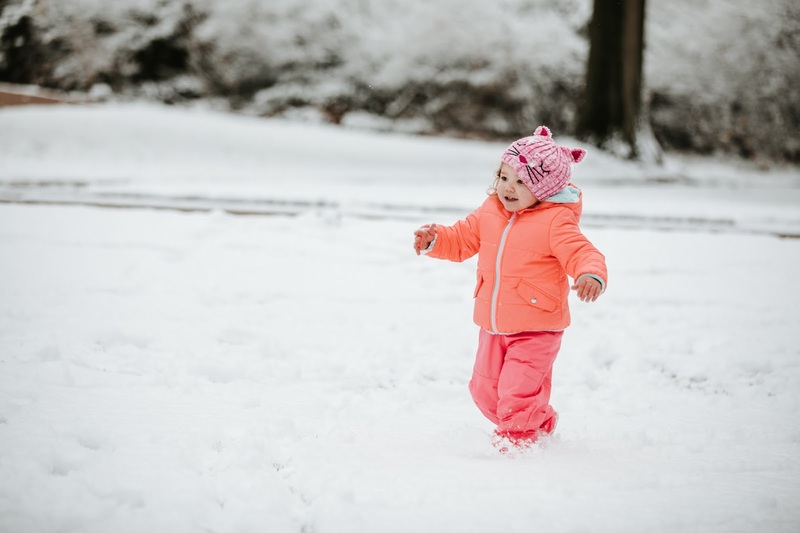 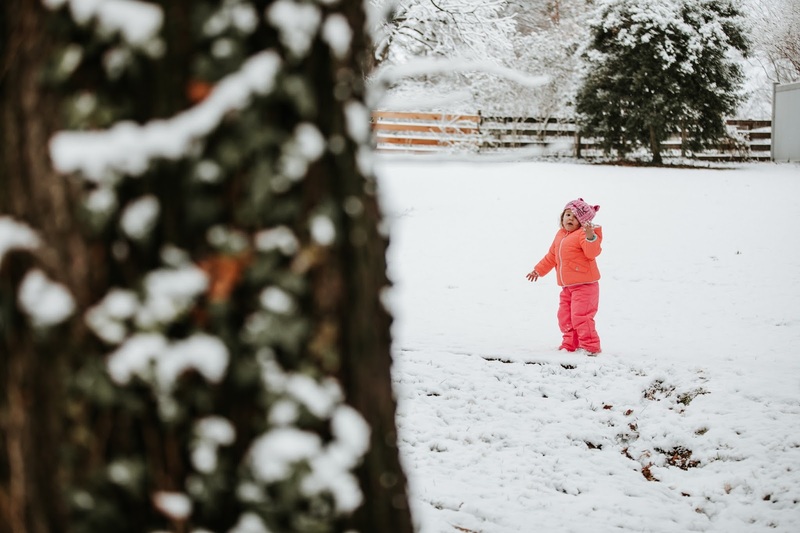 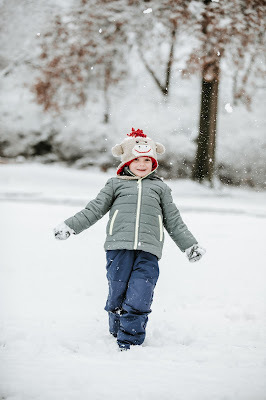 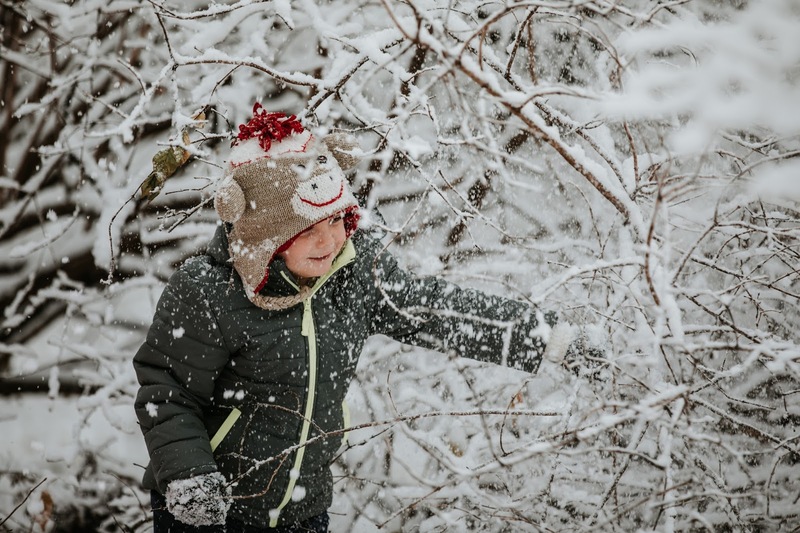 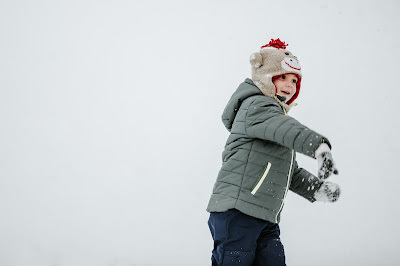 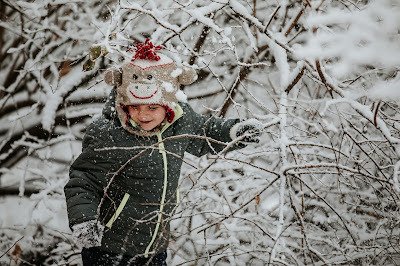 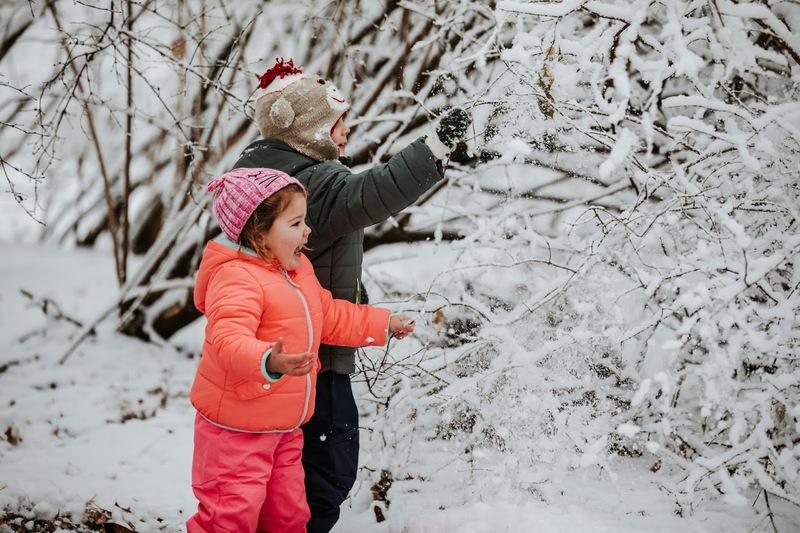 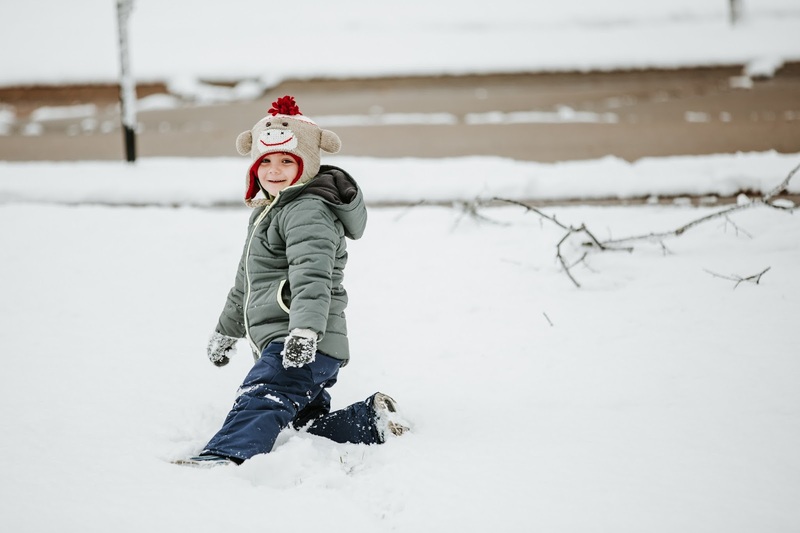 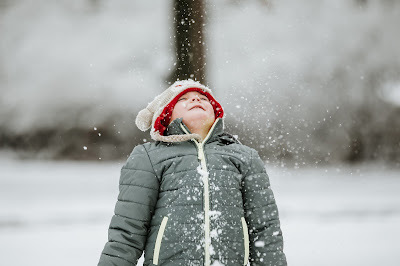 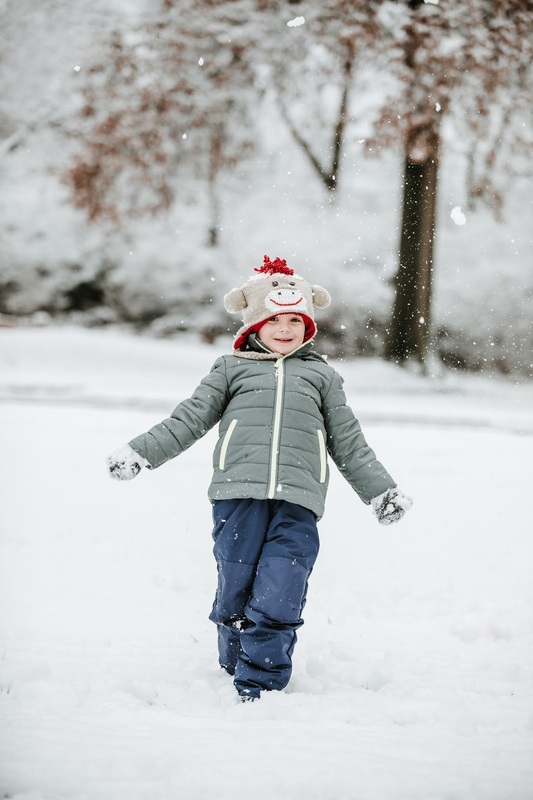 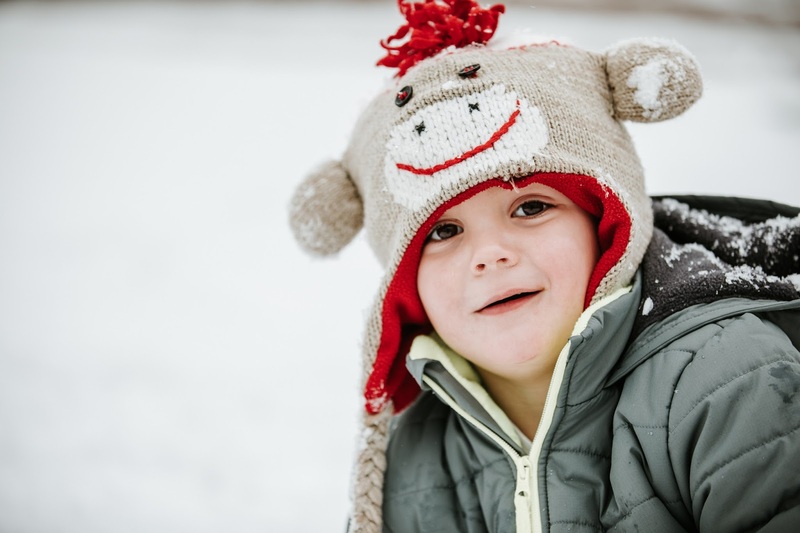 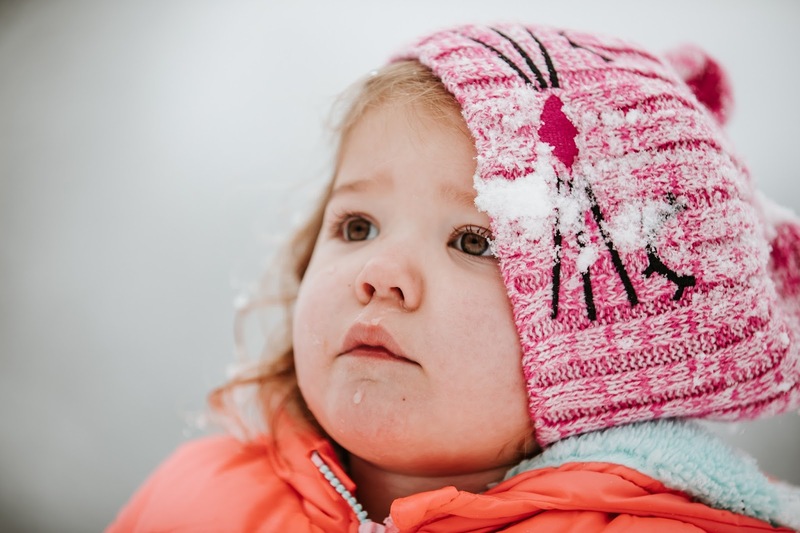 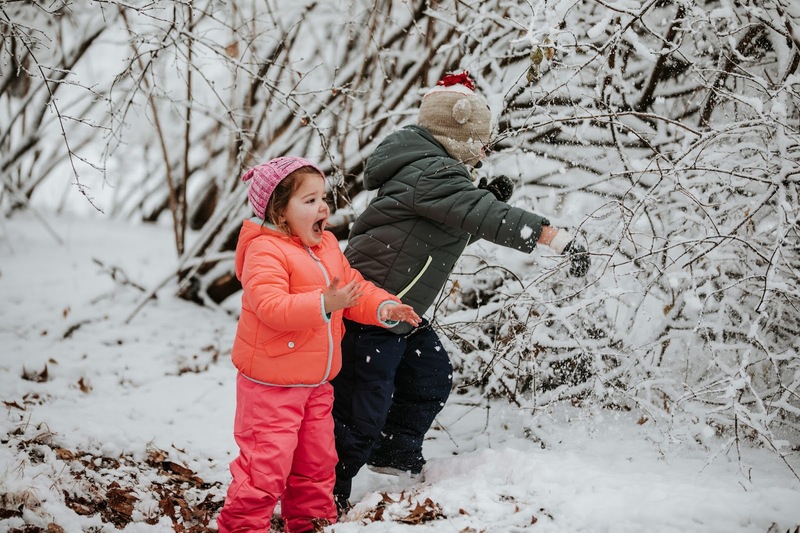 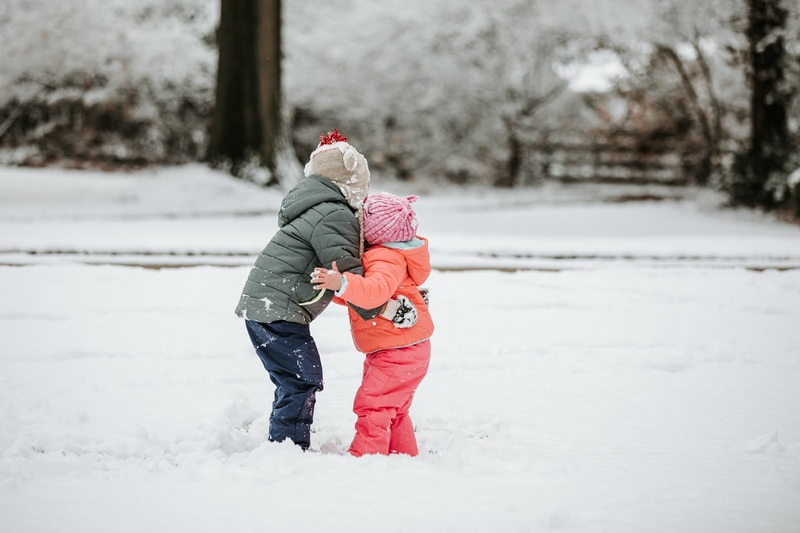 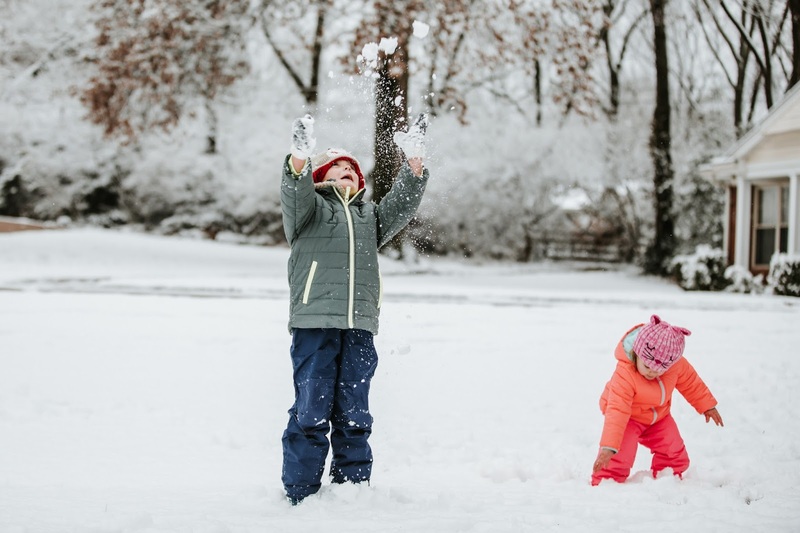 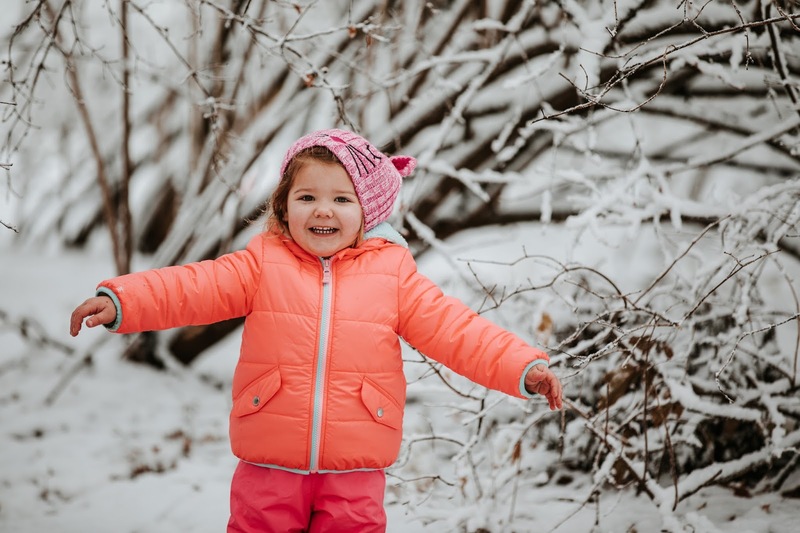 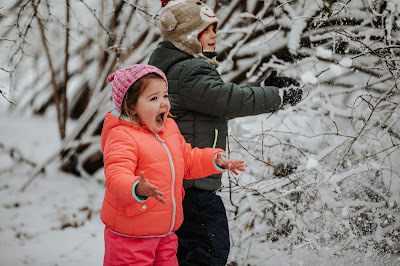 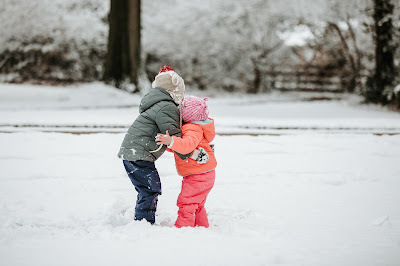 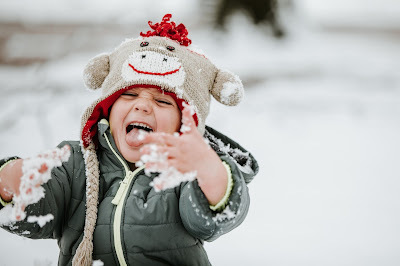 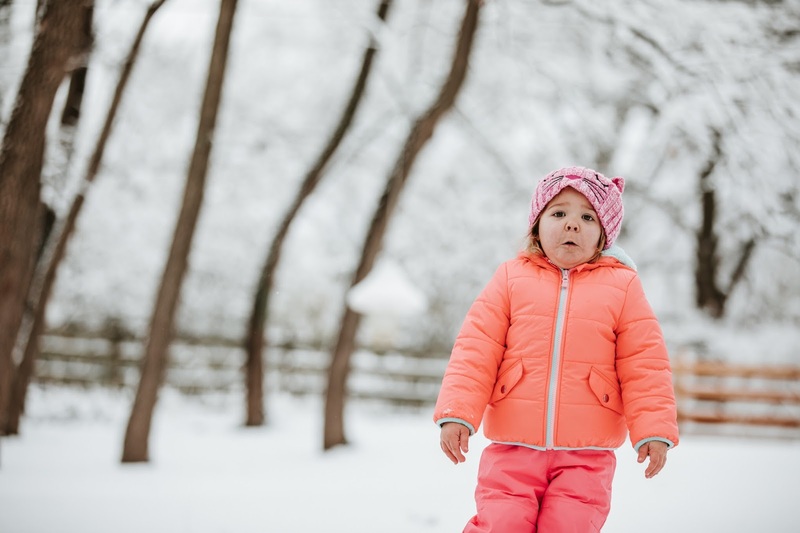 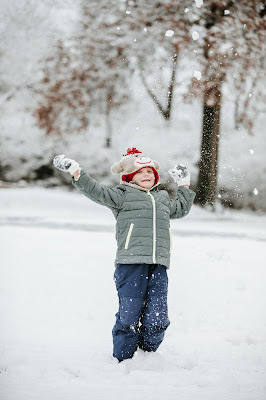 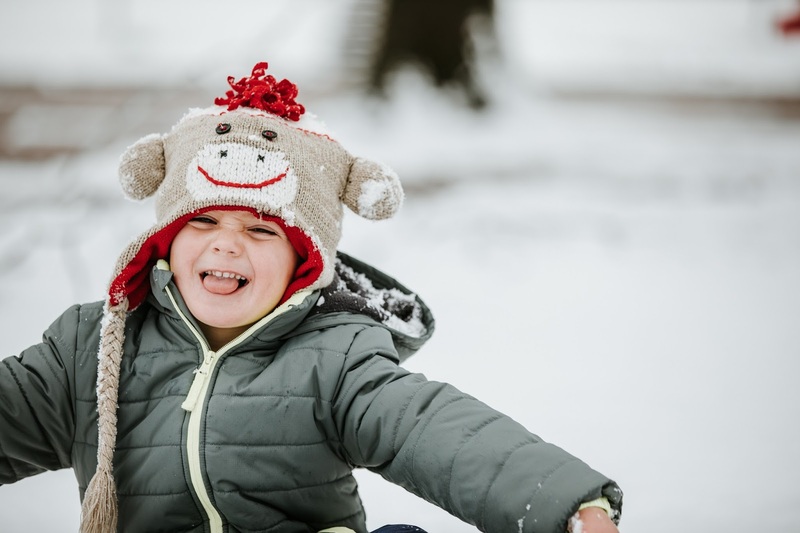 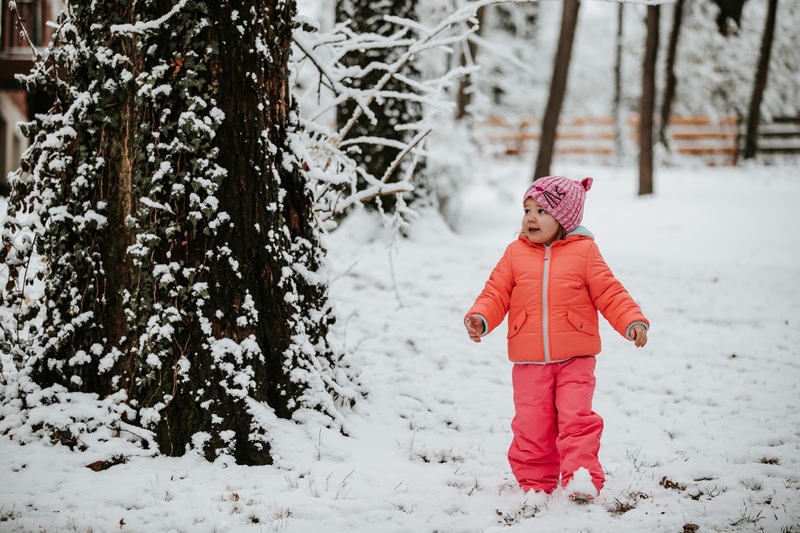 BUT I feel like we were out there plenty long enough for them to play and experience that awesomeness of that first snow and all that comes with it -- snowballs, snow angels, snow tackles and lots and lots of giggles! 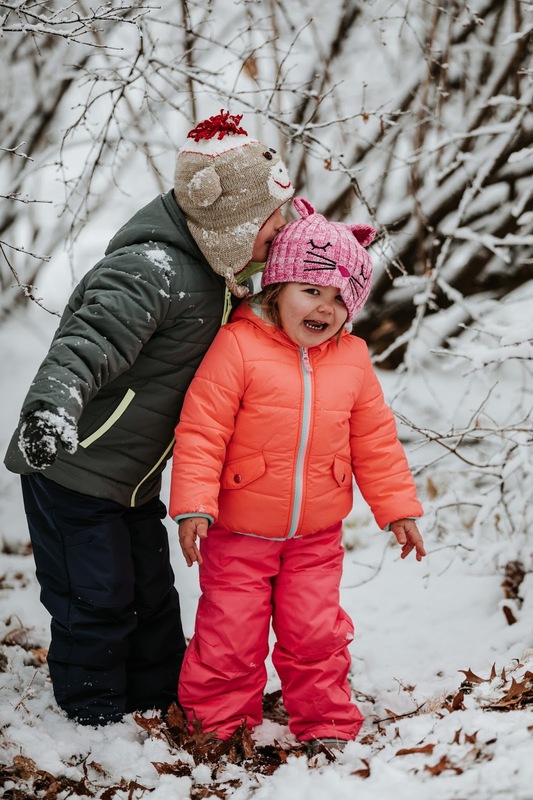 These two had such a blast in the snow and it was another great day of our Christmas break. Golly I hope we get some more snow this year and we can get a lot more playtime out in it too -- perhaps Annie will join us next time as well! Happy Christmas Eve Eve my friends!